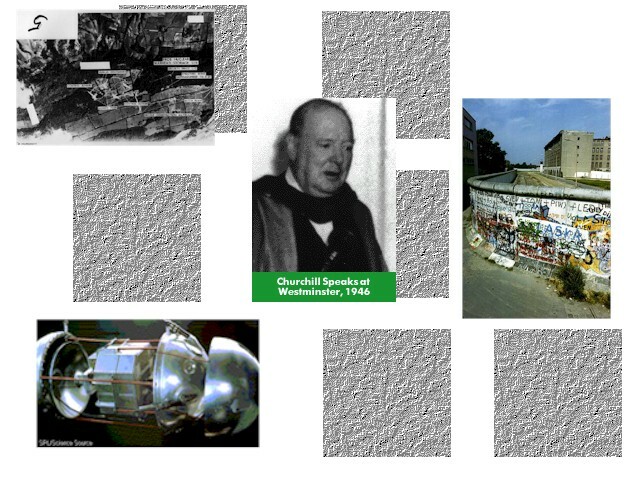 The Cuban Missile Crisis | The Berlin Airlift and the Berlin Wall | The Space Race | Winston Churchill's Iron Curtain Speech. Click Here to Start All html source by James Howard. All content by James Howard unless it's a picture or otherwise noted. And hey, if you liked this, well, you probably won't like my home page but go look at it anway. Its kind of goofy.